Bounty hunter John Ruth (Russell) is transporting vile criminal Daisy Domergue (Leigh) to be hanged, but takes shelter from a blizzard at Minnie's Haberdashery. 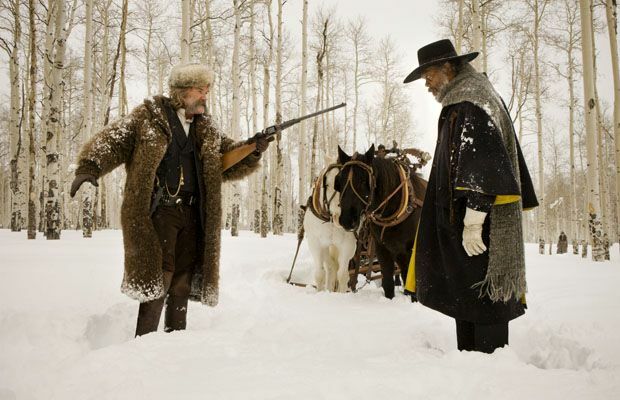 Tarantino's eighth film recalls his first, being similarly fuelled by claustrophobia, suspicion and intrigue, but Reservoir Dogs didn't have Hateful Eight's operatic grandeur. Immense fun.